It's been two months since our last lunch at Ba'al and I'm happy to report the 3 sides platter is still $7.75. Combined with a Boylan ginger ale, that came to $9.90. A rather filling and satisfying $9.90. 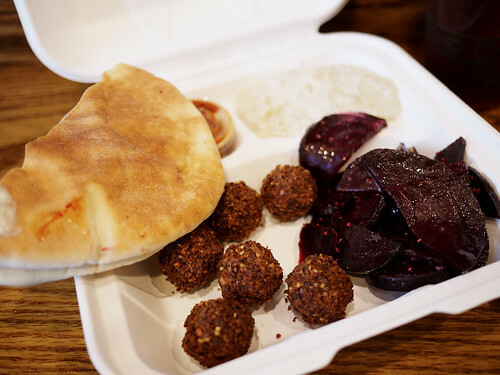 I'm always really boring and get a combination of humuus, falafel and fatouche salad, while M. likes beets.